There’s no easy way to put your finger on exactly what is happening here. This record is like your directional guide though an ancient desert tribe’s oldest rituals, where you find yourself completely lost however curious to learn the ways of the people. Lingua Ignota unfolds slowly and deliberately, beginning with the haunting opening swirl that is “Eurydice’s Chant.” You quickly encounter the voice of Andrea Perez, who arguably becomes a major focal point of this majestic record. Her voice is supported by Sergi Alejandre’s rusty guitar and a slithering rhythm comprised of primitive percussion and wispy wind chimes. “Sound of Gold, Rhythm of Jade” opens with a ray of harp-like guitars, backed by the sparkle of the bells and the distant vocal howling from both Perez and Alejandre. The primal tom-heavy beat firmly takes a hold, sucking you right in to this mesmerizing sound as Perez confidently coos with anguish. “Hylé” is a shorter gospel-like entry, slowly swelling with layers of weathered synthesizers as Perez cuts through the ghastly backdrop. “Stalker” opens with the march of percussion, providing a rhythm of thuds while the synths begin to create a buzzing atmosphere. Spotty guitars shine through the dark as the track gets anything but quieter, surrounding Perez’s breathy vocals with a growing sense of urgency. A shiny glimmer beckons deep in the background before exploding into an unforeseen moment of shrieking noise – this is the equivalent of total petrification. 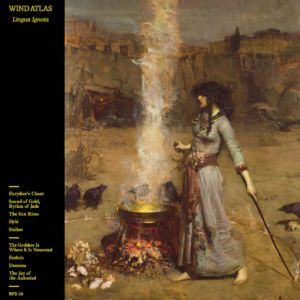 “The Goddess is Where it is Venerated” is Wind Atlas’ version of a pop song. Layers of warbled guitars twist and twang over the creeping rhythm, where brightly plucked guitar notes form a glowing solo within the smokey haze (the thick buzz has me thinking of a Verma LP). Perez makes it stunningly clear that she is the force to be reckoned with. “Ecdisis” is stormy and shrouded in sea of noisy effects, including but not limited to slaps, smacks, whips and the sounds of glass clanking together. The double-hit of the hollow drum holds everything in place. This maddening concoction of noise progresses into a somber and challenging mixture of unearthly righteousness, adding fuzzy bass and the glow of guitar into a mix that conclusively demands your attention. “Demona” simmers in a sultry heatwave and you can feel the weight of the humidity on your shoulders. The wispy elements drift in and out while Perez calmly drifts over the sparse but vivid landscape. Last but not least, “The Joy of the Auloniad” solely features the voice of Perez as she cleanly and appropriately closes out the LP on her own. Get on this now and you won’t be sorry – there’s only 300 copies of the LP. BUY the LP from the band on Bandcamp – limited to 300 ! 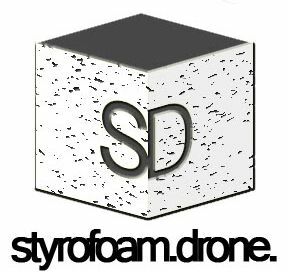 Posted on April 3, 2015 by styrofoamdronePosted in LP, ReviewsTagged ambient, Burka For Everybody Records, ethereal, folk, Lingua Ignota, Medieval, post-punk, psychedelic, Wind Atlas.